From the author of The Oregon Experiment, the story of a father's return to his childhood home, the site of unspeakable tragedy, and of the complex and often warring obligations--not least forgiveness--we have to our family, our friends, and our past. Old Newgate Road runs through the tobacco fields of northern Connecticut that once drove the local economy. It's where Cole Callahan spent his youth, in a historic white colonial that his family was devoted to restoring--painstakingly, relentlessly, pointlessly. But the famous claim that you can't go home again falls far short in this instance. Cole has not come back to this house, to this street, in thirty years--not since he was a teenager, when one night his father murdered his mother in a fit of rage. Now, however, he finally dares to risk it, ostensibly to collect precious material for his construction business on the west coast, and is shocked to discover his elderly father, freed from prison, living alone in their old home, and succumbing to dementia. Compelled by a sense of responsibility to a man he hates, and confronted in middle age by everything he'd left unfinished when he fled this place in his aborted childhood, he finds that the time for a reckoning has at last come. Matters grow even more complicated when his estranged wife calls to say their ultra-progressive, rabble-rousing son has run up against the law and been expelled from high school. And so Cole summons Daniel to East Granby to work in the tobacco fields--his own job growing up--and soon their lives are enmeshed with the family legacy, and with Cole's boyhood sweetheart as well as his nemesis. What unfolds over this summer surprises and challenges them all, as they contend with the sinister history they share and desperately try to invent a future that isn't doomed by it. 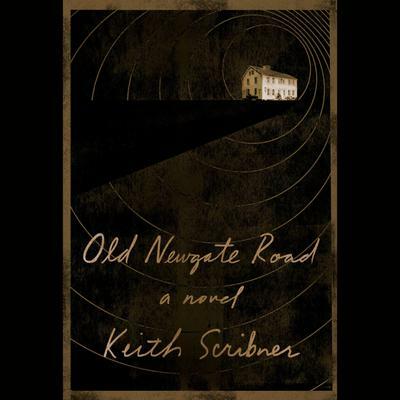 Moving, insightful, and suspenseful, Old Newgate Road is a masterful portrait of a haunted family and successive generations of men struggling against all odds and often violent impulses to truly know one another and their loved ones, and to somehow come to terms with themselves.